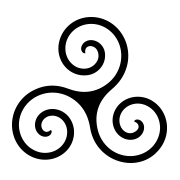 AKASHA is a decentralized application based in Switzerland that deploys a next-generation information architecture born from the fusion of Ethereum and the Inter-Planetary File System. With AKASHA, you can publish, share and vote for entries. It is similar to Medium and other modern publishing platforms but the difference is that your content is actually published over a decentralized network rather than on our servers. Moreover, the votes are bundled with micro transactions so if your content is good you’ll generate value. The mission of Akasha is to create a new social media platform that is resistant to internet censorship. Akasha is planning to do a crowdsale but the date is not confirmed yet. If you are interested in Akasha project and want to get an update, please go to Akasha website to learn more. ICO Description: AKASHA is a blockchain-based social network built on top of Ethereum and IPFS (the InterPlanetary File System).